Wood Stove Pipe, Chimney Kits, Chimney Pipe | Discount Chimney Supply, Inc.
Technical help and customer service by phone seven days a week. Authorized "Duravent" internet dealer (click here to see why this is important). Secure payment processing provided by "Authorize.net"
We meet or beat competitors prices whenever possible with copy of cometitors offer. 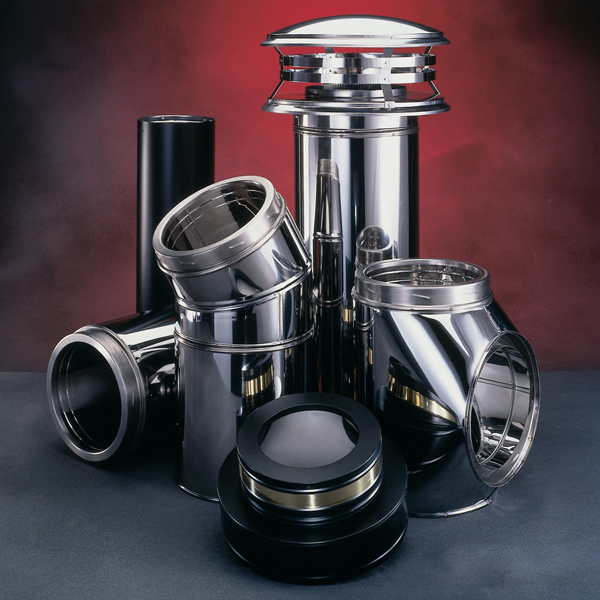 Install Stove Pipe, Chimney Pipe and Chimney Kits and more - Discount Chimney Supply, Inc.
Stove pipe is used to make a final interior connection between the chimney or chimney kit to the appliance. It is not made to pass through walls and does not have proper fittings available to construct a full chimney setup. Chimney Kits is used to construct the actual chimney. It has the ability to pass through combustibles with minimum clearances and meet building codes. It also has all the components available to finish a complete system (caps, flashings, straps, etc). Anything painted black is "Stove pipe" not "Chimney Pipe" and is made for the interior room where the appliance sits only to connect the stove to the chimney and is not made to pass through a wall, ceiling or be used on the exterior of a structure. 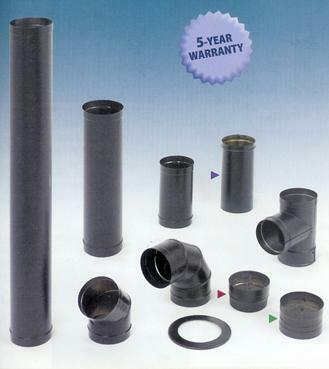 We carry stove pipe in all available sized for most applications. Including standard black single and double wall interior stove pipe, factory built (Class A) chimneys, pellet/corn vent and more. If you don't see it on the site please don't hesitate to e-mail for a price quote at: sales@discountchimneysupply.com. Please note: Most brands of chimney pipe and stove pipe are not compatible with different brands or model lines. The exception is you can use a different brand of single wall black stove pipe with other chimney pipe brands as long as it has an adaptor for single wall stove pipe on the chimney. 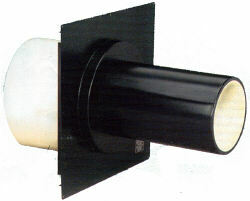 You can also use double wall "Stove pipe" on existing chimneys with a single wall male adaptor on the chimney. 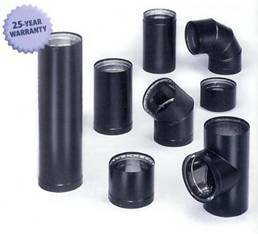 It is recommended if you are purchasing a new chimney that you use the same manufacturers double wall pipe and recommended connector for that chimney.